It wasn’t a place of choice (my flight arrangements meant that I arrived here in St Lucia from Trinidad) but it has worked out well. That’s not taking into account the problem with accommodation in the Caribbean tourist islands. One person staying for one day is almost certainly the worst of all possible combination. Even if available it is expensive for what you get. Nothing wrong just very overpriced. 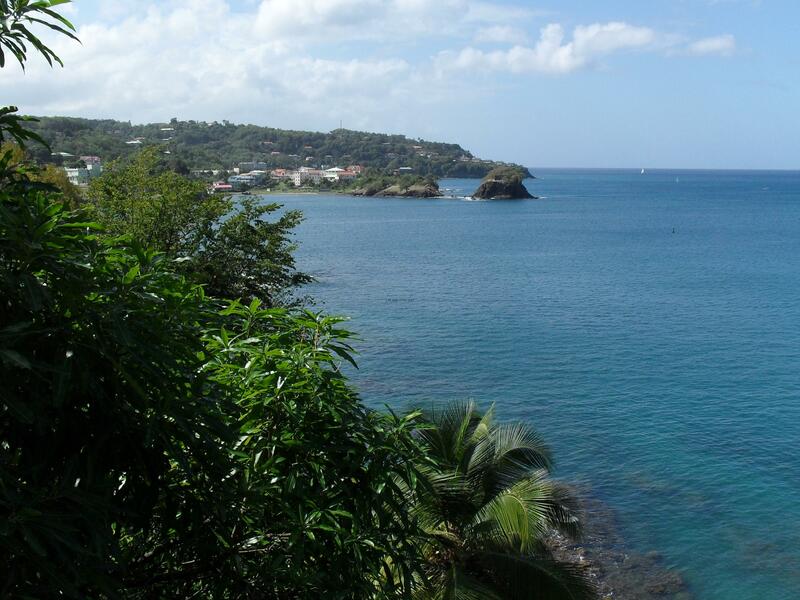 And the place I ended up being told about was about as far from the centre of Castries town as is possible. But there are very regular and relatively cheap (EC$2 into town centre) minibuses running from all directions and at reasonable frequency (at least during the day time, things get quiet after dark and few and far between after seven). The minibuses take you into the central market area and you are immediately in a Caribbean town. Although Castries does have the occasional cruise ship tying up (there was a smallish one there the day I arrived) it’s obvious that it’s not for the tourist attractions of the town. Castries is bustling, chaotic and seems to have been designed with no planning at all as no two adjacent buildings share the same architectural style. And with traffic that is generally respectful of the usual road user regulations and very quiet – I was expecting driving on the horn and a life and death struggle for pedestrians in getting around, but perhaps that is a result of my own anti-car prejudice. Because it was getting later in the day when I arrived in town and because the place is not devoted to tourism the first problem was getting some money to buy a beer (or something else alcoholic). This is going to be a possible major issue during this trip as I will be landing on many different islands. I don’t know how many different currencies I might need during the trip but at least now, being on one of the islands that’s part of the Eastern Caribbean currency union I shouldn’t have too many problems. This covers the Grenadines, St Lucia and quite a few of the islands as it goes north-west in an arc from here. I was moneyless in Trinidad, not bothering to get money as I was only there for a matter of hours. When I arrived it was after 16.00 and the place was full of schoolchildren of all ages, the different covered uniforms signifying school and level, as well as people starting to leave from work. Know nothing of the economic situation of St Lucia, apart from the dominance of tourism (at least in certain parts of the island), or of the levels of unemployment but there was definitely a feel of people doing their shopping on their way home. Hadn’t eaten since on the plane the day before so a search for food was necessary. There was little street food as I assume that gets more of an affair later on in the evening so the fare was provided by a Chinese run fast food/bakery. St Lucia isn’t a cheap place to eat, I don’t think, the most basic and cheapest of dishes (which was more than enough for me at the time) costing EC$9 (about £2.10) so cheaper than the UK but not like Latin America. But it had also been almost 24 hours since a drink and had identified a suitable bar earlier on my walk around the grandly named Castries City (the grid area of streets that form one of the oldest parts of the town). On the corner of Jeremie Street and Peynier Street there is a collection of three, one room bars – all open on to the street – right next to each other. All looked busy with people drinking both inside and out. I choose one at random and asked for what I thought was one of the local beers. One of the local brands is called Piton (named after a couple of prominent volcanic peaks further south from Castries) and they produce what is called Piton Malta. I thought that this was a darker beer but imagine my horror when I discovered it was non-alcoholic. I nearly died of shame and hoped not too many people had noticed. However, by the time this had been disposed of I had realised what most people were drinking. And that was the white rum. Now this was in a unlabled bottle and was being drunk by the gallon. I assume that it was a local, home-made variety. This is true fire water. It burns when it goes down and is way above the alcoholic level of the likes of Havana Club, which is a suave drink in comparison. You could also tell the strength of this shot as if iced water, available to hand on the customer side of the counter, was either added to the measure to make it a long drink, or a cup of that water was taken immediately after the shot was taken down in one go. As that was the way most of them were drunk. In, ask, pay, drink, go. And at EC$2 (£0.47p) a go, as opposed to EC$4 (almost a pound) for the soft drink, what would you choose. I took my time as part of the exercise was to watch what was going on. Some like me were there for a longer time, taking more than one drink. At the same time there was a lot of movement. At times the place was almost full and then all of a sudden all but a few stalwarts remained. But it was a friendly bar. I was the only white in there and as I was sitting on an extremely uncomfortable bench (too high and with no padding) close to the slot through which the money was taken and the spirit dispensed all had to come close to me. Many with a nod some offering their clenched fist to which I had to place mine. I’m sure there’s a name for this greeting but I’ve never heard it. Either a hard physical life or too much of the rum but whatever the cause the ravages of time were shown on some of the faces. Mainly men, but a few women. Of all shapes and sizes, especially the women, some of them are big. And also with a huge variation in skin colour, showing the mixed racial history of the Caribbean islands. I was quite happy to have stayed there longer than I did. As well as the white rum a popular drink was what was called paf (at least assume that is how it is spelt). This was a mixture of the white rum and another liquor which made if much smoother but personally I preferred the kick of the white rum, which lost its shock value after a few shots. This paf was recommended by Silvester, one of the more-than-one-drink patrons. And as he drank more and the movement in and out of the bar diminished as the town itself got quieter he came and sat next to me. Now I’ll drink with anyone but for some unknown reason (to me) I always seem to meet the ones that want to preach. Silvester almost literally. I got a diatribe about god, the one and only true father, and love. He even ended up reading my palm and going so far off the mark it should have been statistically impossible. I thought we were having one last drink and he would go, but no. So I got him one last drink and went. But I plan to go to that, or one of the other bars, tomorrow. I should have some time free before the voyage officially gets to start. Definitely my type of drinking hole. So my first post from the warm and sun-drenched Caribbean, the sound of the waves lapping against the shore just below the balcony of my over-priced (but OK) accommodation for the night, a handful of yachts sailing off-shore and a slight breeze moving the leaves of trees and bushes I don’t recognise. The ship has arrived in port and now off to find my home for the next 7 weeks or so. After liberating their country from the fascists Albanians were under continual external pressure from hostile government forces. At this time Albanian-British Relationships were at an all-time low. In not bowing down to this the Albanians were criticised for being ‘isolationist’ and ‘xenophobic’ whereas their actions were more a matter of survival. But why was this nation of just over a million people so angry with the British that the government felt it didn’t want to co-operate with the Commonwealth War Graves Commission in establishing a final resting place for those British soldiers who had died in the country in the fight against Fascism? For the sake of brevity let us only mention the attempts of the British (along with the other major European powers) to influence developments in the Balkans for more than 70 years – since the Crimean War. Let’s just pass over the fact that when Zogu ran away from the Italian fascists when they invaded in 1939 he found shelter in the spartan conditions offered by the Ritz Hotel in London. Whilst his country was torn apart by war and an estimated 30,000 of ‘his’ people died in the next five years he spent a very comfortable war, ‘thank you very much’, in a country house in Buckinghamshire. This self-proclaimed king who had depended for his position at home by being in the pockets of the Italian fascists, a collaborator of the first order, was given exile in a country which, within a matter of months, was officially at war with Italy. But no internment for Zogu! Also let us pass over the fact that gold reserves – that had been stolen from impoverished Albania by the fascists and which was to be decided (in 1948) by an international tribunal of the UK, France and the USA that it should be returned to the Albanian people – were being retained in the vaults of the Bank of England. This gold was not returned to the country until 1992 when the government of Berisha bowed before the might of a powerful international player, just as Zogu had done almost 60 years before with the Italians. Here I want to concentrate on the situation and events of the immediate post-war years. Britain supported (with arms, men on the ground as well as massive naval support) the monarchist Greek army against the Communists. Their eventual victory left a deeply divided society and this led to years of internal conflict and ultimately to the coup by the Generals in 1967, which meant the establishment of fascism until 1974. The UK Foreign Minister, Earnest Bevin, openly called for a ‘counter revolution’ in Albania. He was a virulent anti-communist, pro-US, supporter of nuclear weapons at ‘whatever the cost’, strong supporter of Korean War and for a British imperial presence throughout the world. He makes Blair appear like a left-winger. During the war British intelligence (SIS) and the SOE (Special Operations Executive) had been wary of the non-Communist forces as they had, without exception, been collaborators at one time with the Italian fascists. After the war, won by the Communist Partisans, the SIS – with the support of the nascent CIA (American Central Intelligence Agency) – used the contacts that had been made with these monarcho-fascists to try to incite civil strife in the seriously war damaged and weak country. These attempts went on well into the 1950s, all ending in ignominious defeat, a precursor to the equally disastrous Bay of Pigs fiasco later to be played out in Cuba. This was by far the most confrontational event that took place in the immediate post-war years and is, in fact really three separate events, but all obviously related. This can be a long story and the interpretation of events will vary depend upon where you stand politically. I will try to present the events as I know them and then make a few comments – the British government has more than their fair share of opportunities to make their case known. May 15, 1946 – two Royal Navy cruisers, Orion and Superb, were fired upon from Albanian shore batteries. There was no damage and no-one was hurt. 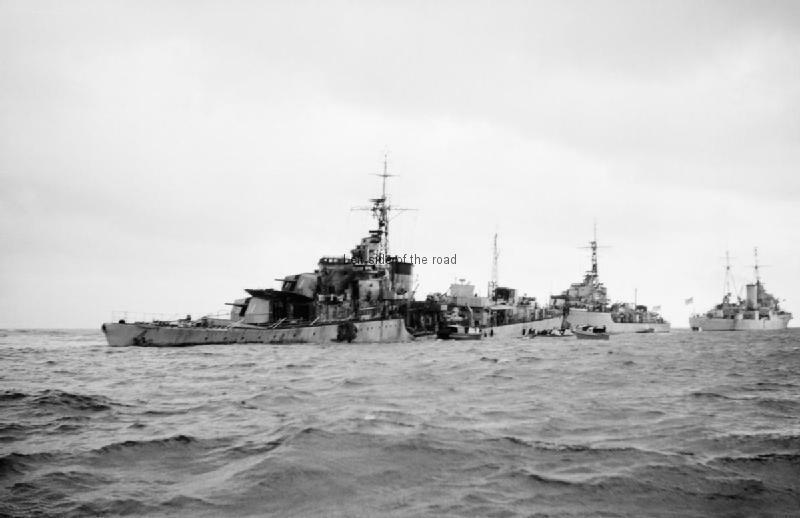 October 22, 1946 – a Royal Navy flotilla (don’t know exactly when a group of ships becomes a flotilla) was sent purposely to challenge the Albanians. In the group were the cruisers Mauritius and Leander and the destroyers Saumarez and Volage. Saumarez struck a mine and Volage was sent to tow it back the 16 miles to Corfu harbour. Just after starting the tow Volage also hit a mine and it took them more than 12 hours to make the journey. Forty four men were killed and 42 injured. The Saumarez was damaged beyond repair. November 12, 1946 – a group of Royal naval ships, including an aircraft carrier, entered waters recognised to be in Albanian jurisdiction with the excuse that they were clearing mines in ‘self defence’ as they could be a hazard to shipping. This was done without consultation or permission being granted by the Albanian government. There was no hostile action on this occasion. In May, at the very time that the Royal Naval ships approached the Albanian coast, British forces were involved in a bloody civil war in neighbouring Greece where the Albanians were in support of the Communist forces is it a surprise that the Albanians might have thought they were facing an invasion force and had the right to fire warning shots? In October why did the British send such a large force of naval hardware? Four ships of the line would have filled Saranda Bay. If they were genuinely searching for mines why not mine-sweepers? Surely they would have been better equipped to detect any potential danger. The British were later to accuse the Yugoslavs of having laid the mines, on behalf of the Albanians – as Albania had no such capability at the time – BETWEEN May and October. Now if I were in a conflict situation with a neighbour I would have people scanning that piece of water 24 hours a day to know exactly what was happening. The British later claimed they recovered up to 25 mines. Now I’m no expert on mine-laying but how would it have been possible for any ship, or ships, to do that without attracting attention? Even someone with a pair of binoculars on the hills in northern Corfu would have been able to see what was going on. And with such a huge force of military shipping in the area why didn’t the Royal Navy post a ship permanently, inside Corfu’s territorial waters, to monitor the situation? To have sent ships into an area that was unmonitored, un-surveyed, unknown is tantamount to ‘reckless endangerment’ on behalf of the British military and government. The families of the British seamen should have taken the British government to court on charges of murder for such incompetence. In November the Flotilla of Royal Navy ships knowingly entered Albanian territorial waters more for a show of imperial might than anything else. With the all-consuming arrogance of a weak and failing imperial power they didn’t like the self-inflicted damage of the previous month and wanted to show the Albanians that they could still do what they wanted, trampling all over international law that they say should be defended, unless it suits them to break it – like the US is doing on an almost daily basis as we enter 2013. At that time they were able to ‘recover’ more than 20 German-made mines which the British argued had not been in the water for more than a few months. This was all very convenient for the British to later bring up in evidence at the International Court of Justice. Now I wouldn’t say that the British would ever lie in an international forum (perish the thought) although the phrase ’45 minutes’ comes to mind when you consider how convenient this proof was. And the post-war Labour government was as duplicitous as any other when it came to international matters and the ‘protection’ of British imperial interests. 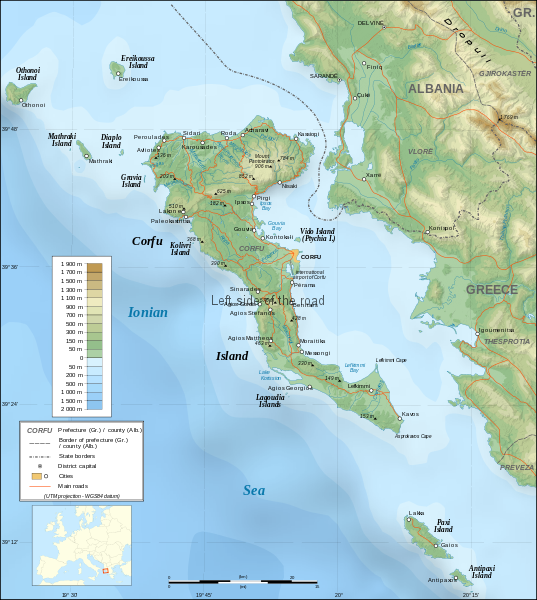 Although there are places where the distance between Corfu and Albania is much narrower (it’s less than two miles at the narrowest point) the first practical place for any sea landing is the town of Saranda – the cliffs being quite steep further to the south and the only small bays around present day Ksamil being too shallow for major ships. Therefore why is it a surprise that the Albanians were so jumpy when they saw such a military force steaming towards Saranda Bay? What would have been the response of the British and French governments if a Soviet battle flotilla had sailed between Dover and Calais at that time? Would it have been seen as a friendly or a hostile act? Would the British (or the French) reacted in a different way? not invited to take part in discussions on drafting the peace treaty with Italy. 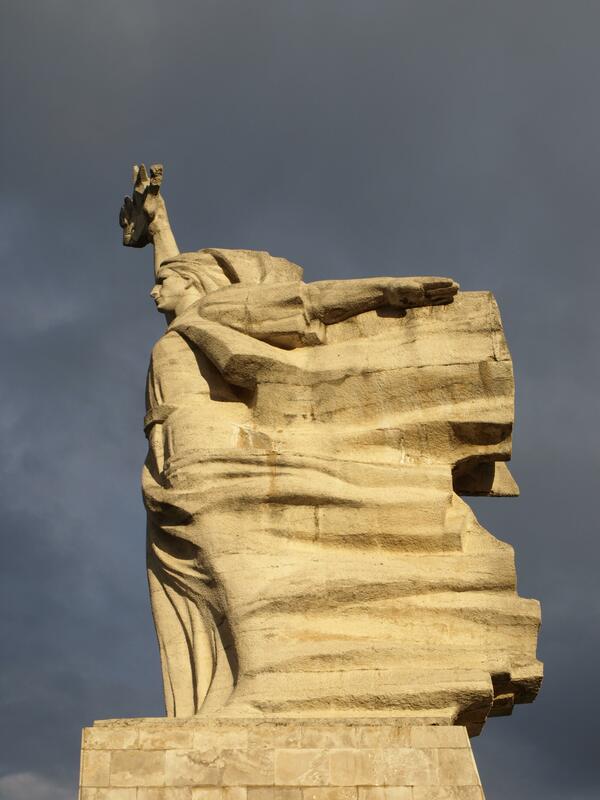 All these Albania considered it had a right to attend following its sacrifice during the anti-fascist war. At the same time these were all moves to isolate and marginalise the country at the same time as other countries, ie Greece and Yugoslavia, were making moves to absorb Albania into their national boundaries. Perhaps I’ve gone on longer than I really intended but I thought it was important to attempts to set the scene of the hostile environment that Albania found itself having to confront in the 1940s. The country has often been accused of suffering from paranoia but I’d again refer you to the scale of the damage that the country had sustained in the battle against fascism and the fact that Albania was a nation of a little over a million people. If you want to address the issue of a paranoia look no further than the UK and the proposed renewal of Trident. This incident was merely the culmination of anti-Albanian activity carried out by British and American imperialism which began in the early days of the Albanian national Liberation War. To get a greater and in-depth political analysis of this intervention in the affairs of a sovereign nation have a look at Enver Hoxha’s memoir of the period The Anglo-American Threat to Albania. Click here for the PRA’s request to attend the Italian Treaty meetings, here to attend the Peace Conference with Germany and here for Albania’s response to imperialist incursions into Albanian territorial waters. Another source of background material to the efforts by the British and American imperialists to undermine the People’s Socialist Republic of Albania can be found in A Tangled Web, by Bill Bland and Ian Price, published in 1986. It only goes into detail about events up to 1955 as this was the latest date where documents were available to the public, following the British Government’s ’30 year rule’ where that period of time has to pass before (some) secret governments documents are released.